You've got your hair styled to perfection and you've got the power suit to boot. You're ready to conquer that boardroom. But wait, is that hair and dandruff you see on your perfect suit? 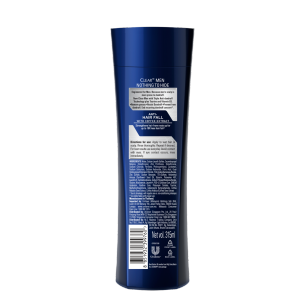 The residue from overstyling can build up in your scalp and cause dandruff. Studies have shown that half the people that experience dandruff will also experience hair fall. 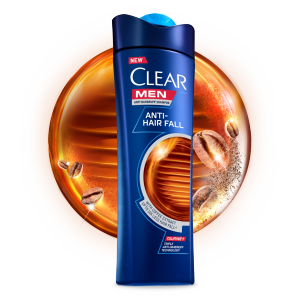 Specially formulated for men, CLEAR Men Anti-Hairfall Shampoo is infused with Coffee Extract to remove all traces of dandruff* and residue from your scalp while nourishing and revitalising the scalp for up to 10x less hairfall`. You're now set to stride out that door. Coffee Extract is known to stimulate hair follicles, support healthy hair growth cycle and prevent hair fall.